I encourage my students to write down their thoughts in a journal after a lesson. This helps them remember what they learned and can be a nice resource to review when a roadblock pops up. It can also be a good record of the progress of a rider and horse. They can look back in the log and learn that they may have problems, but at least they are different problems. * All this time I’ve always been concerned with how long it takes the horse to warm up. Today I learned that it takes ME about 40 minutes before I am useful in the tack. * Inside flexion, diagonal half halt, give. Follow elastically when not doing that. 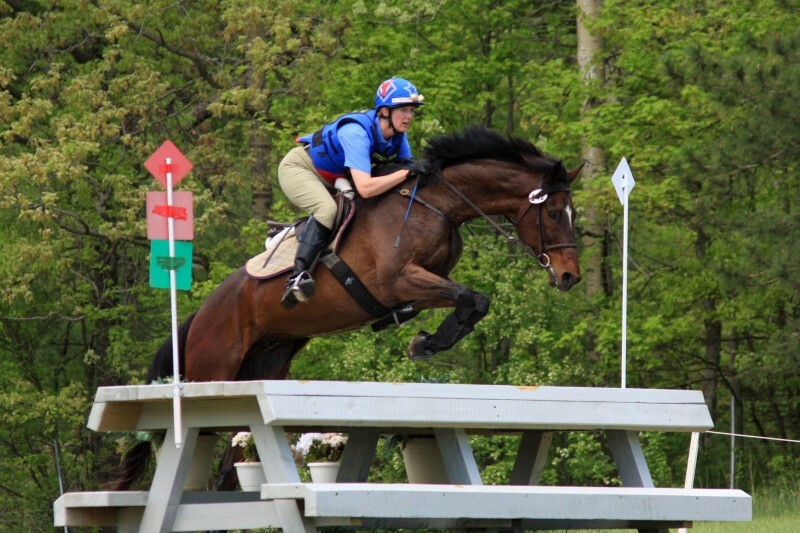 * Straightness during and after the jump is as important as straightness before the fence. * Elliot can jump a small house from 2″ in front of it. 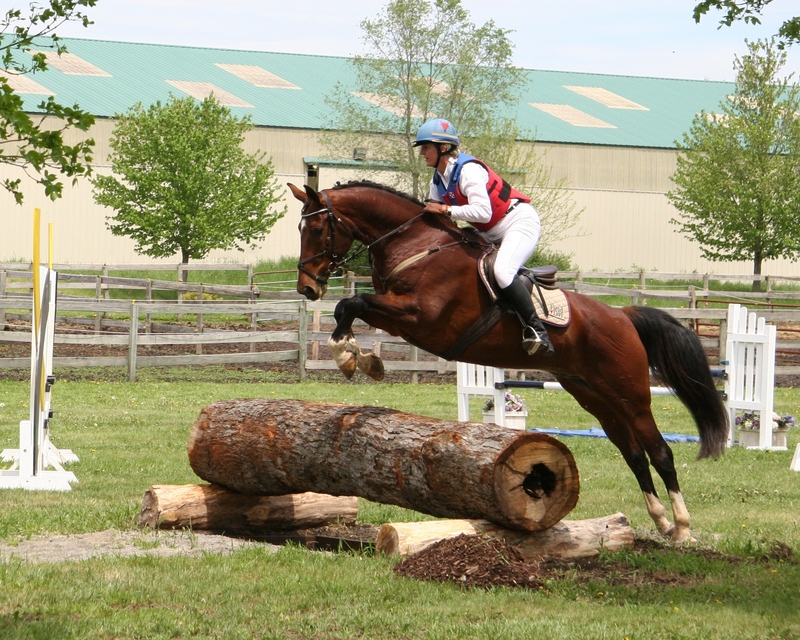 * Elliot can make a 2′ jump feel like a house if his rider lets him canter down to it crooked and on his forehand. * The canter where he moves his feet and raises his withers is my new life. * Eddie will twist left over any jump if allowed to his own devices. * I sometimes take my leg OFF at a fence. Who knew? Gah. * When I use my right leg to keep his ribcage left in the air, he is perfectly capable of staying straight and landing on the right lead. * When a horse is tracking straight and in the correct canter, 3’6″ looks and rides like 2’6″. And that’s what I was reminded of today. Eddie and Elliot are all settled in their beds and resting. Seems like a good idea. ‘Night.